Let’s get this straight: the result was known even before the game began. The final nail was hit on the coffin when India won the toss. The rest was just a question of going through the motions. India were always going to emerge victorious. Had West Indies challenged them, or if they do from where they are now, it would’ve been nothing but a miracle. There was an inevitability about proceedings once India opted to bat. Prithvi Shaw was on debut but nobody was shocked he made a century so effortlessly. Two others in Virat Kohli and Ravindra Jadeja got there too. Given the lack of penetration in the Windies attack, every batsman in the line-up would have felt there was a ton for the taking and those who didn’t, would be disappointed for missing out. Even KL Rahul, who fell for 0 in the first over, would have felt the same. The challenge, thus, was more from within than it was from the opposition. It’s in such scenarios that the other batters can learn from Kohli, on how not to let any opportunity slip away. 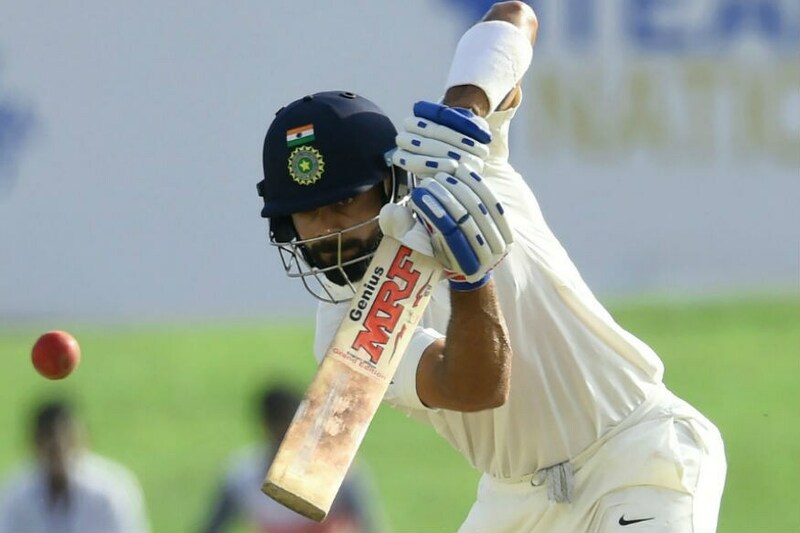 Kohli’s ton - sandwiched between two maiden Test centuries - was a splendid effort despite the opposition and conditions being too easy, purely because of the respect he showed to the bowling, and his own craft i.e batting, during his innings. Not once did Kohli think it was too easy. Not once did he show arrogance and try something he wouldn’t against a tougher opponent. It was just simple, pure Test batting like he has been doing over the last two seasons. Kohli took 230 balls for his 139, going at a strike-rate lesser than even Cheteshwar Pujara. His knock saw only 10 fours, three of them coming after his century, and as many as 80 singles. His first aerial shot came after he crossed his century, when Devendra Bishoo dropped a tough return chance. Even when Rishabh Pant was busy smashing sixes at the other end, Kohli went about his business, adding only 37 runs in a 133-run stand for the fifth wicket. This was a batsman who had made close to 600 runs in England. Windies are a team that Harbhajan Singh doubts would qualify for knockouts if they played the Ranji Trophy Plate group. Nobody could have complained even if Kohli tried smashing a six before getting off the mark. The message was so loud and clear that it was impossible to miss. It helped the other centurion of the day - Jadeja - get to the landmark for the first time ever in international cricket. Of course, it also helped that this Jadeja is different from the one in the past. The current version, as Rohit Sharma described after the Asia Cup final, has a burning desire to make a successful comeback since he was dropped from the limited-overs squads and from the Test XI for overseas matches. There were signs in the last Test in England and in the Asia Cup that followed. It showed in the way he paced his knock. Jadeja came in with India on 470 for 5. Jadeja of the past would have used this as a chance to have some fun, especially since Rajkot was his home. The current Jadeja resisted the temptation and was more intent on ensuring he’ll be hard to drop, even overseas. 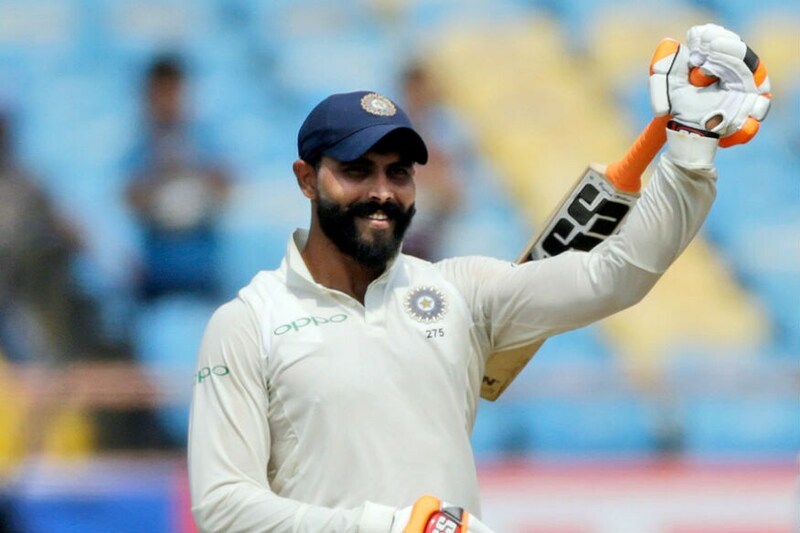 Jadeja ended up with an unbeaten 100 off 132, with five fours and five sixes. But the mere numbers don’t show the full story; he took 51 balls for his first boundary, which too was an edge through third man. His second four, again an edge past the wicketkeeper, came six overs later. All the runs were made through nudges and flicks - Jadeja was intent on batting long, taking cue from the partner at the other end - Kohli. Jadeja’s half-century took 87 balls, by when India were eight down with only Umesh Yadav and Mohammed Shami remaining. It was then that he took the license to attack, targeting spinners Bishoo, Roston Chase and Kraigg Brathwaite for sixes down the ground. By then, Windies were too tired to bowl pace, and Jadeja too determined to waste the chance. A century- a landmark he missed by 14 runs at The Oval recently - was there for the taking and he took it, getting there by driving Brathwaite for a single to mid-off. The bat turned sword immediately, and out came the Talwar.. The other batsman who made runs on the day could have had his own celebratory moments too, if only he had taken a cue from his partner Kohli like Jadeja had done. Pant, in typically entertaining style, made 92 off just 84 balls with four sixes and eight fours but would have still been kicking himself at the end of the day. Unlike Jadeja, Pant was on the attack from the moment he entered. He took on the pacers early on and lived dangerously, with edges and mishits falling not too wide of fielders. The half-century took just 57 balls, and he was into the 90s in less than a run a ball. That he dominated Kohli easily in a century stand showed the pace with which he batted. A century should have been a formality but Pant threw it away when he sliced Bishoo to short third man, looking to slog the ball out of Rajkot. Such easy centuries don’t come too often at this level, and Pant too could take a leaf out of Kohli’s book in the future.